This is part 5 in a series on organizational design and growth. Each of us has a job to do, probably more than one, and our teammates should know what they are. Roles are a kind of standing commitment we make to each other. They’re a way of dividing up work which is easy to understand and simple to apply. 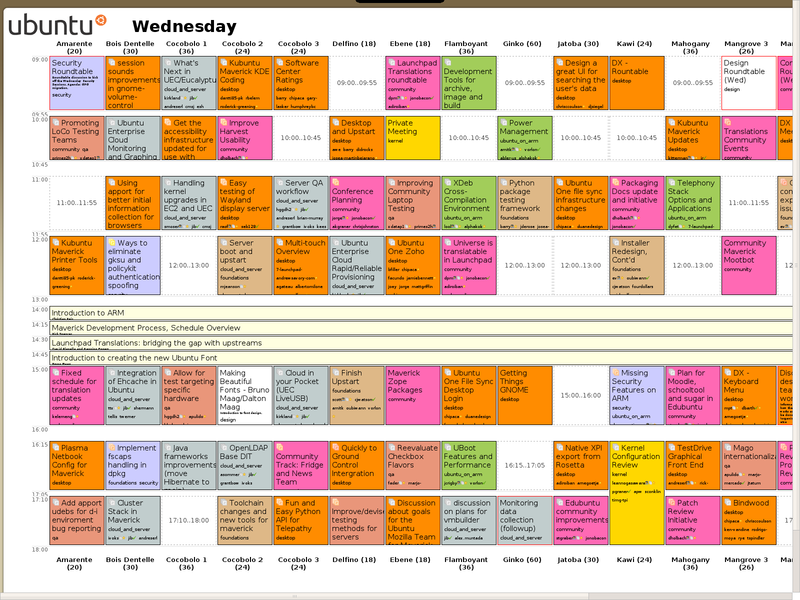 Utilizing this tool will make it easier for us to coordinate our day to day work, and manage the changes and growth we’re going through. Roles are vague or nonexistent. Management roles in particular are probably not well understood. Many people juggle multiple roles, all of which are implicit. Moving to a new team means learning from scratch what other people do. People take responsibility for tasks and decisions largely on a case-by-case basis, or based on implicit knowledge of what someone does (or doesn’t do). In many cases, there is only one person in the company who knows how to perform a certain function. When someone leaves or goes on vacation, gaps are left behind. Each individual has a clear understanding of the scope of their job. We have a handful of well defined roles, which are used by multiple teams and have written definitions. People who are new or transfer between teams have a relatively easy time understanding what the people around them are doing. Many day to day responsibilities are defined by roles, and more than one person can fill that role. When someone leaves a team, another person can cover their critical roles. Define project roles: when starting something new, make it explicit who will be working on it. Often this will be more than one person, often from different teams. For example, customer-facing product changes should have at least a product owner and an engineering owner. This makes it easy to tell if too many concurrent projects are dependent on a single person, which is a recipe for blockage. Define team roles: Most recurring tasks should fall within a defined role. An owner of a technical service is an example of a role. An on-call engineer is an example of a time-limited role. There are many others which will depend on the team and its scope. Define job roles: Have a conversation with your teammates and manager about what the scope of your job is, which responsibilities are shared with other members of the team and which are yours alone. Getting hung up on titles as ego gratification. Roles are tools, not masters. Fear that a role limits your options, locks you into doing one thing forever. Roles can be as flexible as we want them to be. In our first few years, Ubuntu experienced explosive growth, from zero to millions of users. Because Ubuntu is an open project, these people don’t just use Ubuntu, but can see what’s happening next and influence it through suggestions and contributions. The volume of suggestions quickly became unmanageable through ad hoc discussion, because the volume of feedback overwhelmed the relatively few people who were actively developing Ubuntu. In order to better manage user feedback at this scale, Ubuntu Brainstorm was created in 2008. It’s a collaborative filtering engine which allows anyone to contribute an idea, and have it voted on by others. Since then, it’s been available to Ubuntu developers and leaders as an information source, which has been used in various ways. The top ideas are printed in the Ubuntu Weekly Newsletter each week. We experimented with producing a report each release cycle and sharing it with the developer community. People have been encouraged to take these suggestions to the Ubuntu Developer Summits. We continue to look for new and better ways to process the feedback provided by the user community. Most recently, I asked my colleagues on the Ubuntu Technical Board in a meeting whether we should take responsibility for responding to the feedback available in Ubuntu Brainstorm. They agreed that this was worth exploring, and I put forward a proposal for how it might work. The proposal was unanimously accepted at a later meeting, and I’m working on the first feedback cycle now. In short, the Technical Board will ensure that, every three months, the highest voted topics on Ubuntu Brainstorm receive an official response from the Ubuntu project. The Technical Board won’t respond to all of them personally, but will identify subject matter experts within the project, ask them to write a short response, and compile these responses for publication. My hope is that this approach will bring more visibility to common user concerns, help users understand what we’re doing with their feedback, and generally improve transparency in Ubuntu. We’ve already selected the topics for the first iteration based on the most popular items of the past six months, and are organizing responses now. Please visit brainstorm.ubuntu.com and cast your votes for next time! Of course, both functions are essential to a viable service, and so DevOps aims to replace this opposition with cooperation. By removing this friction from the organization, we hope to improve efficiency, lower costs, and generally get more work done. So, DevOps promotes the formation of cross-functional teams, where individuals still take on specialist “development” or “operations” roles, but work together toward the common goal of delivering a great experience to users. By working as teammates, rather than passing work “over the wall”, they can both contribute to development, deployment and maintenance according to their skills and expertise. The team becomes a “devops” team, and is responsible for the entire product life cycle. Particular tasks may be handled by specialists, but when there’s a problem, it’s the team’s problem. Some take it a step further, and feel that what’s needed is to combine the two disciplines, so that individuals contribute in both ways. Rather than thinking of themselves as “developers” or “sysadmins”, these folks consider themselves “devops”. They work to become proficient in both roles, and to synthesize new ways of working by drawing on both types of skills and experience. A common crossover activity is the development of sophisticated tools for automating deployment, monitoring, capacity management and failure resolution. Like DevOps, cloud is not a specific technology or method, but a reorganization of the model (as I’ve written previously). It’s about breaking down the problem in a different way, splitting and merging its parts, and creating a new representation which doesn’t correspond piece-for-piece to the old one. DevOps drives cloud because it offers a richer toolkit for the way they work: fast, flexible, efficient. Tools like Amazon EC2 and Google App Engine solve the right sorts of problems. Cloud also drives DevOps because it calls into question the traditional way of organizing software teams. A development/operations division just doesn’t “fit” cloud as well as a DevOps model. Deployment is a classic duty of system administrators. In many organizations, only the IT department can implement changes in the production environment. 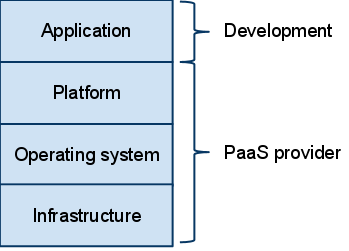 Reaping the benefits of an IaaS environment requires deploying through an API, and therefore deployment requires development. While it is already common practice for system administrators to develop tools for automating deployment, and tools like Puppet and Chef are gaining momentum, IaaS makes this a necessity, and raises the bar in terms of sophistication. Doing this well requires skills and knowledge from both sides of the “fence” between development and operations, and can accelerate development as well as promote stability in production. This is exemplified by infrastructure service providers like Amazon Web Services, where customers pay by the hour for “black box” access to computing resources. How those resources are provisioned and maintained is entirely Amazon’s problem, while its customers must decide how to deploy and manage their applications within Amazon’s IaaS framework. In this scenario, some operations work has been explicitly outsourced to Amazon, but IaaS is not a substitute for system administration. Deployment, monitoring, failure recovery, performance management, OS maintenance, system configuration, and more are still needed. A development team which is lacking the experience or capacity for this type of work cannot simply “switch” to an IaaS model and expect these needs to be taken care of by their service provider. With platform service providers, the boundaries are different. Developers, if they build their application on the appropriate platform, can effectively outsource (mostly) the management of the entire production environment to their service provider. The operating system is abstracted away, and its maintenance can be someone else’s problem. For applications which can be built with the available facilities, this will be a very attractive option for many organizations. The customers of these services may be traditional developers, who have no need for operations expertise. PaaS providers, though, will require deep expertise in both disciplines in order to build and improve their platform and services, and will likely benefit from a DevOps approach. 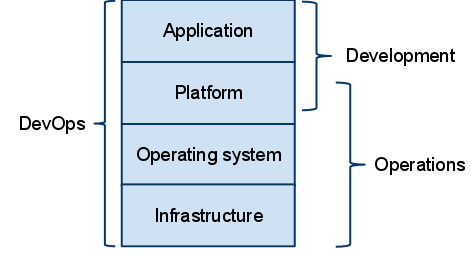 Technical architecture draws on both development and operations expertise, because design goals like performance and robustness are affected by all layers of the stack, from hardware, power and cooling all the way up to application code. DevOps itself promotes greater collaboration on architecture, by involving experts in both disciplines, but cloud is a great catalyst because cloud architecture can be described in code. Rather than talking to each other about their respective parts of the system, they can work together on the whole system at once. Developers, sysadmins and hybrids can all contribute to a unified source tree, containing both application code and a description of the production environment: how many virtual servers to deploy, their specifications, which components run on which servers, how they are configured, and so on. 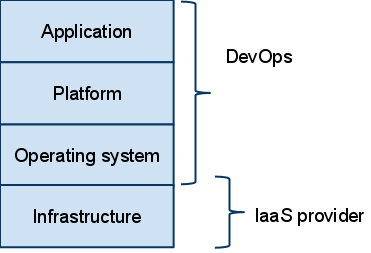 In this way, system and network architecture can evolve in lockstep with application architecture. Cloudy promises such as dynamic scaling and fault tolerance call for a DevOps approach in order to be realized in a real-world scenario. These systems involve dynamically manipulating production infrastructure in response to changing conditions, and the application must adapt to these changes. Whether this takes the form of an active, intelligent response or a passive crash-only approach, development and operational considerations need to be aligned. DevOps and cloud will continue to reinforce each other and gain momentum. Both individuals and organizations will need to adapt in order to take advantage of the opportunities provided by these new models. Because they’re complementary, it makes sense to adopt them together, so those with expertise in both will be at an advantage.